Casino Pawn and Gold is Casa Grande's Premier Platinum Buyer! As a Platinum Buyer with over 20 years of experience, we feel that Platinum, like Silver and Gold is a precious. In fact, during times of economic stability the price of platinum actually exceeds that of gold. Of course, during more difficult economic times it can drop slightly below the price of gold as well. Still, Platinum as a precious metal does hold it's value and because of this, Casino Pawn and Gold wants to be your Platinum Buyer in Casa Grande. We also serve the Coolidge, Maricopa, Arizona City, and Florence Area. Why Casino Pawn and Gold has made ourselves the top platinum buyer Casa Grande trusts is due to the high value that platinum has. Gold is the most popular precious metal in the world and is often what we use as a comparison of relative value to something. The phrase "worth its weight in gold" comes to mind, when really it should be "worth its weight in platinum." What many people don't know about platinum is that it is by far the most valuable precious metal in the world. It's worth far more than gold and silver combined, and yet it's not as popular most likely due to its color. We mostly see platinum these days in platinum wedding bands, but it's still alive and well in many different forms around the world also. As a highly rated, platinum buyer, we are always looking for Platinum Bullion, jewelry and watches to buy and loan on. Whether you have coins, bars, ingots or jewelry, we guarantee that we will offer you the most money paying top dollar for all platinum in Casa Grande. In watches, as in rings and other types of jewelry, manufacturers appreciate the unique properties of platinum, as it neither tarnishes nor wears out. Brands like Vacheron Constantin, Patek Philippe, Rolex, Breitling and others use platinum for producing their limited edition watch series for example. Our associates have been buying and selling platinum for the better part of a decade making them the true platinum buying experts. If you've got platinum jewelry or bullion that you'd like to sell, Casino Pawn and Gold is the only pawn shop you should contact where you can be assured you're getting the most cash possible. The $100 face value contains 1 ounce of pure platinum. The $50 face value contains 1/2th ounce of pure platinum. The $25 face value contains 1/4th ounce of pure platinum. The $10 face value contains 1/10th ounce of pure platinum. The Canadian $50 face value contains 1 ounce of pure platinum. The Canadian $20 face value contains 1/2th ounce of pure platinum. The Canadian $10 face value contains 1/4th ounce of pure platinum. 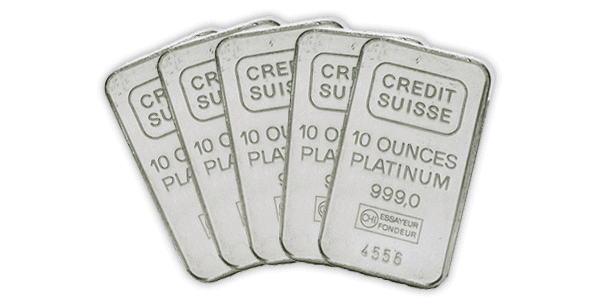 The Canadian $5 face value contains 1/10th ounce of pure platinum. The Canadian $1 face value contains 1/20th ounce of pure platinum. So bring your Platinum, Silver, and Gold into our pawn shop located in Casa Grande for a free quote. Don't forget we serve the surrounding area of Arizona City, Maricopa, Coolidge. Florence and Eloy.